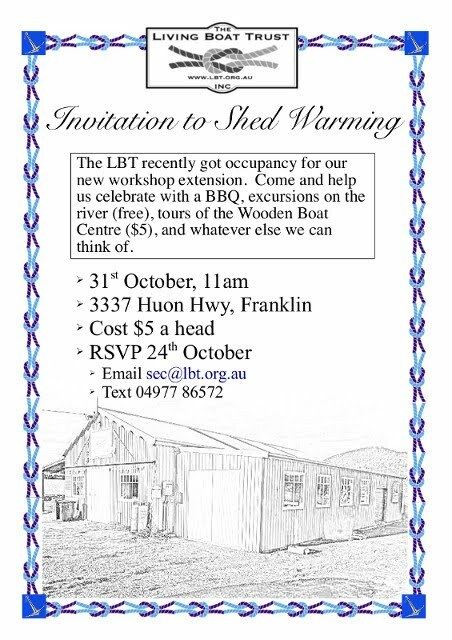 Come along to thank Brett Doubleday and the Tuesday group for building the workshop extension and renovating the shed. This is a major milestone for the LBT which has already transformed our operations. See the details in the attached invitation (http://bit.ly/2xCf7EG).